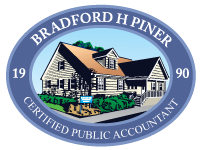 The office of Bradford H. Piner, CPA was established on November 1st, 1990, although Brad and Charlene have been serving the Carteret County community in this location since 1983. We provide quality, professional accounting services to our clients, emphasizing personal attention and small town values. Our services include personal and business tax preparation, basic bookkeeping, payroll services and financial statement compilations. Our staff of nine includes five CPAs, who have worked together for many years and have earned an excellent reputation for conscientious and professional service to our clients. Believe it or not, most of the decisions you make as a business owner, from start to finish, have tax implications or consequences. That’s why you need Piner CPA at your side. With a specialty in structuring business entities and planning, we can help protect your assets and minimize taxes. In addition, we can provide all the traditional tax services and handle all the necessary forms and filings, including returns for individuals, corporations, partnerships, proprietorships, estates and trusts.